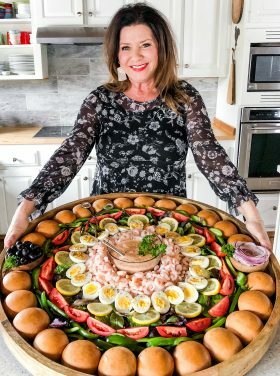 Today I’m sharing an easy, great entertaining idea for the holidays, a SeaPak Seafood Entertaining Charcuterie board, with a delicious bite for everyone! This is a sponsored conversation written by me on behalf of SeaPak. The opinions and text are all mine. This Seafood Entertaining Charcuterie is perfect for ushering in fall and the holidays. 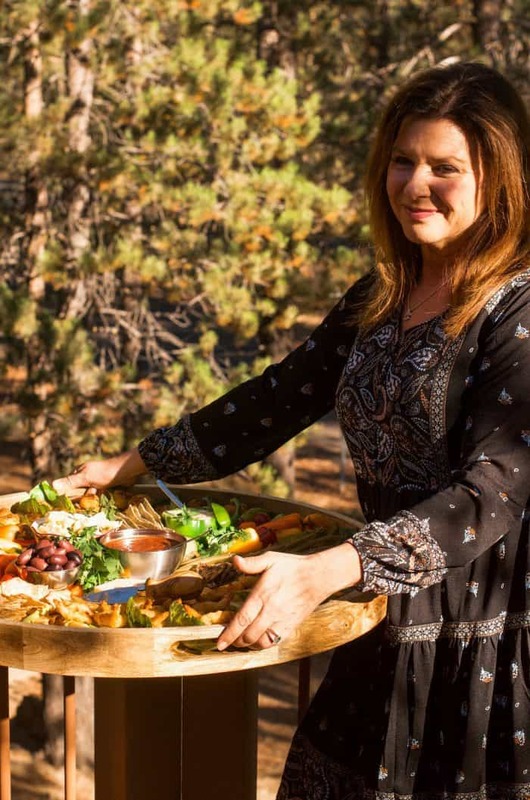 It’s hearty enough for a fun outdoor party, and to serve as an appetizer or a main dish, so that it doesn’t feel too heavy. Along with the ease of putting it all together, pair it with your favorite drinks, for a light, satisfying dinner. This recipe is ideal for a weekend party, game day event, or tailgating! And who doesn’t love seafood? The USDA recommends eating at least two 4-ounce servings of seafood each week. Choosing SeaPak, America’s no. 1 shrimp brand, is an easy way to meet that goal! 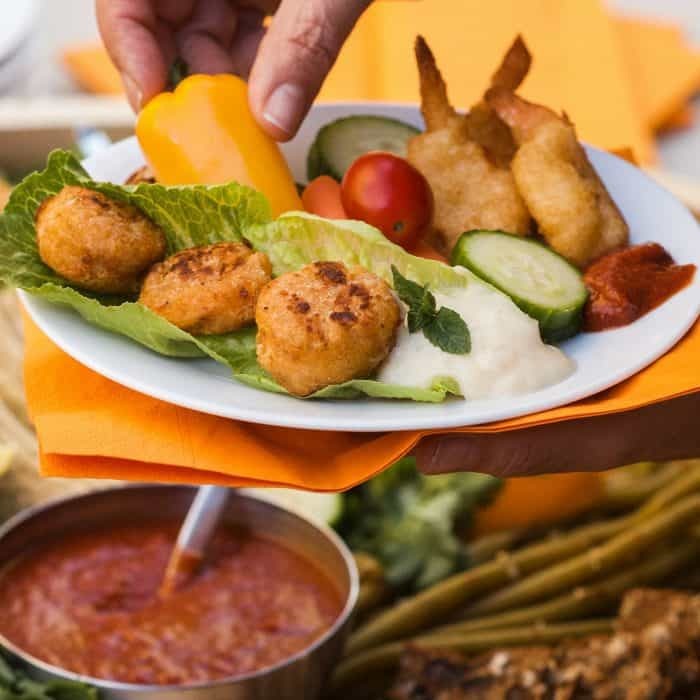 Enjoy this super fun idea, to make a characterie with these SeaPak new Pub Style products: SeaPak Pub Style Beer Battered Shrimp, and SeaPak Pub Style Beer Battered Crab Poppers. We’ve enjoyed their seafood in our home for years. SeaPak has been using coastal-inspired recipes to make great-tasting shrimp and seafood for nearly 7 decades. Their high-quality, easy-to-prepare, restaurant-style seafood you can make at home, or bring to a party! 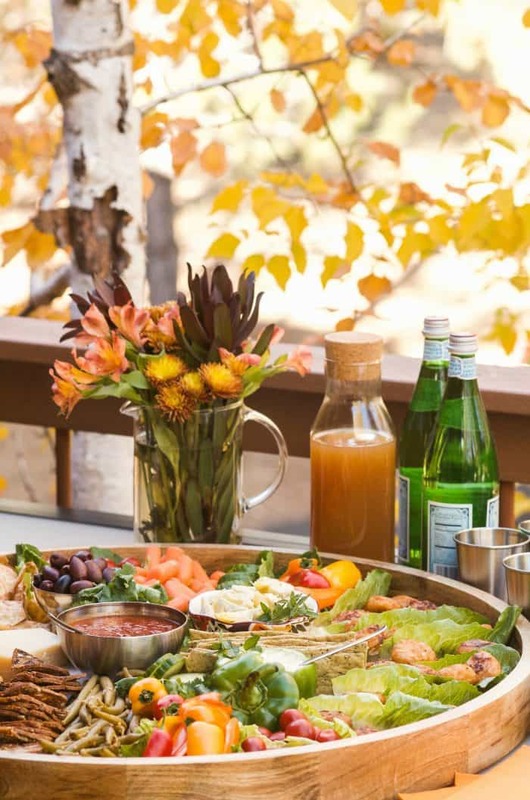 These new items are fun, easy and delicious, adding a restaurant-style element to any fall spread or celebration. We recently timed it, and it only takes 30 minutes to cook the seafood, and prepare the charcuterie on your favorite tray, board, or platter. I love fuss-free entertaining. And guess what? 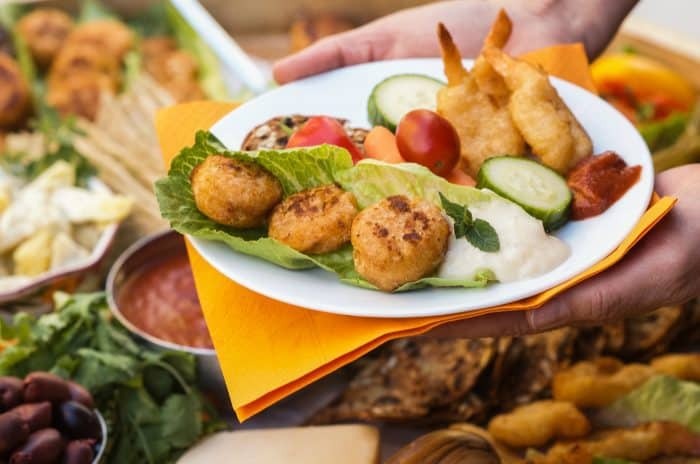 SeaPak is the best way to introduce seafood to picky eaters, and is the perfect option for any gathering! 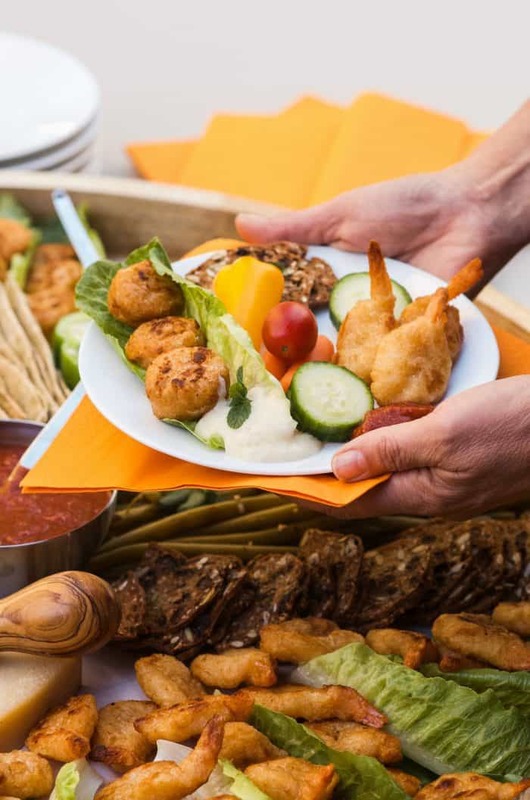 Whether you’re hosting or attending, your parties are bound to have the obligatory items: delicious drinks, a main meal (or substantial appetizers), and a yummy dessert. If you’re lucky, you’ll serve a charcuterie plate. 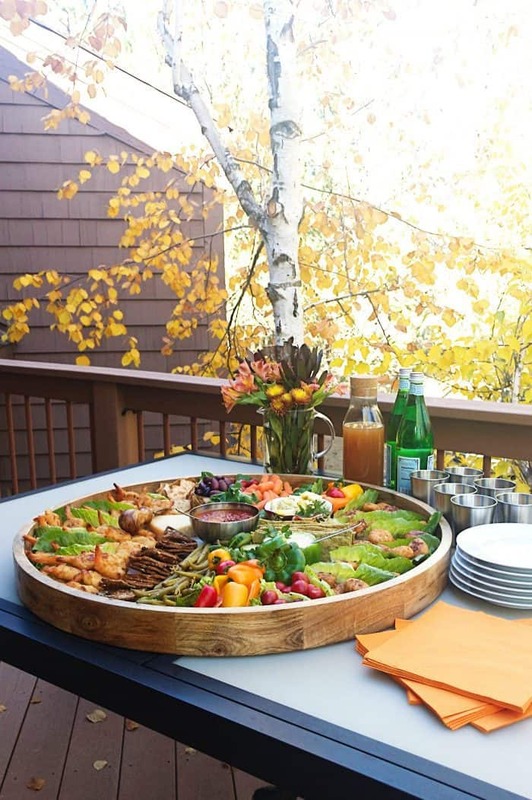 Because a charcuterie says “party,” and there’s delicious food for everyone! We recently served this SeaPak Seafood Entertaining Charcuterie and it was a huge party hit! SeaPak and fresh ingredients are the perfect combo for making a quick-and-easy dish for your guests. Keep a package or two of SeaPak in your freezer for those last-minute entertaining occasions. Start with a large board. 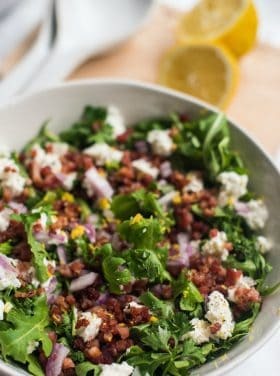 Layer with parchment paper and lettuce leaves. 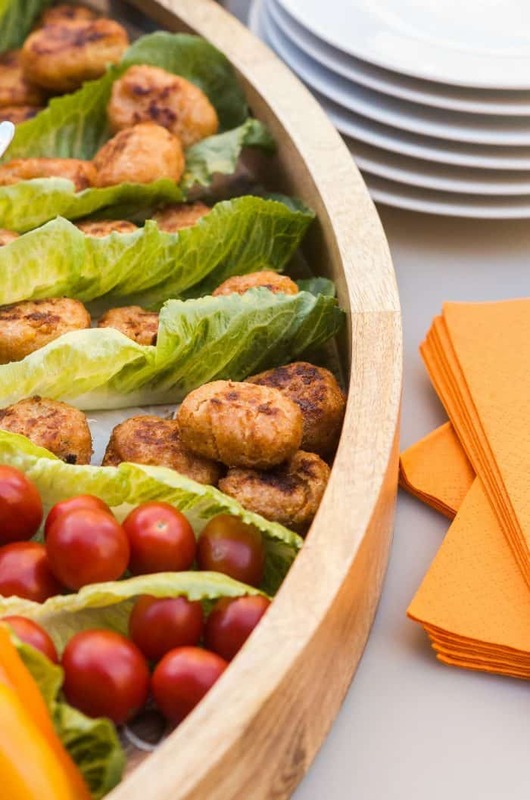 Guests were so inspired by this fun party idea, and they loved the mix of seafood! I think it’s going to be a “charcuterie” party season for fall and the holidays! Layer the charcuterie board with parchment paper. Pour 1 jar tarter sauce in a small bowl. Pour the dipping sauce for poppers in a scooped out green bell pepper. 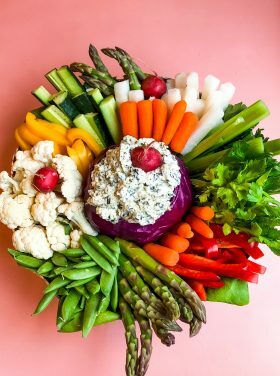 Place both dips in the middle of a board or tray. Cook seafood according to package directions. While seafood is baking, layer the lettuce leaves on top of the parchment paper, surrounding the dips in the center. Place the drained olives and artichoke hearts in small dishes, in the center of the board as well. Alternatively place the veggies and crackers on the lettuce leaves. 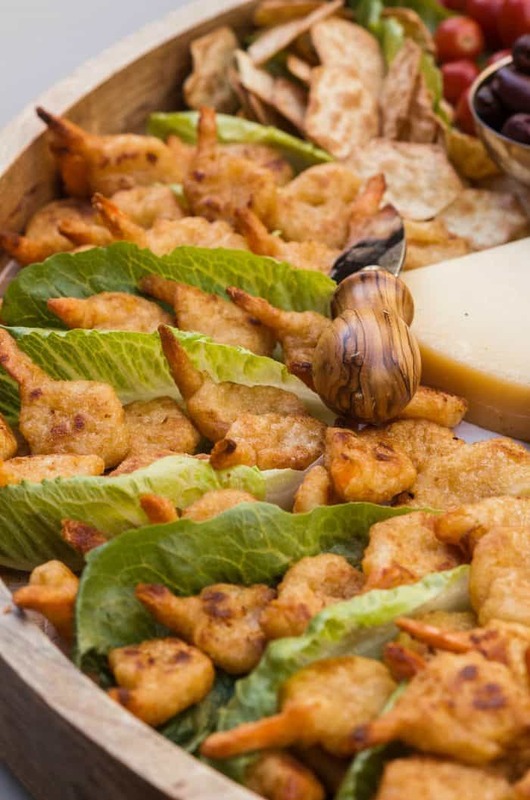 In between the veggies and crackers, layer Beer Battered Shrimp and Beer BatteredCrab Poppers. Garnish with your favorite herb; serve! Follow SeaPak on social media: Facebook, Twitter, Instagram, and Pinterest. To find SeaPak products near you, head to the product locator on SeaPak’s website. My local store makes it easy to purchase SeaPak. Sign up for SeaPak’s Coastal Catch e-newsletter so you won’t miss a deal! You’ll receive a coupon just for joining! More charcuterie ideas? 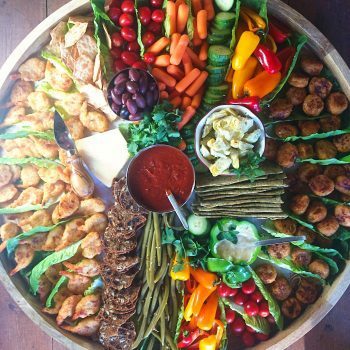 Check out Tortellini Sausage Skewers Appetizer, Fruit Berry Platter, Kid Friendly Charcuterie [Love from the Oven], and Dessert Charcuterie Plate [Pint Sized Baker]. 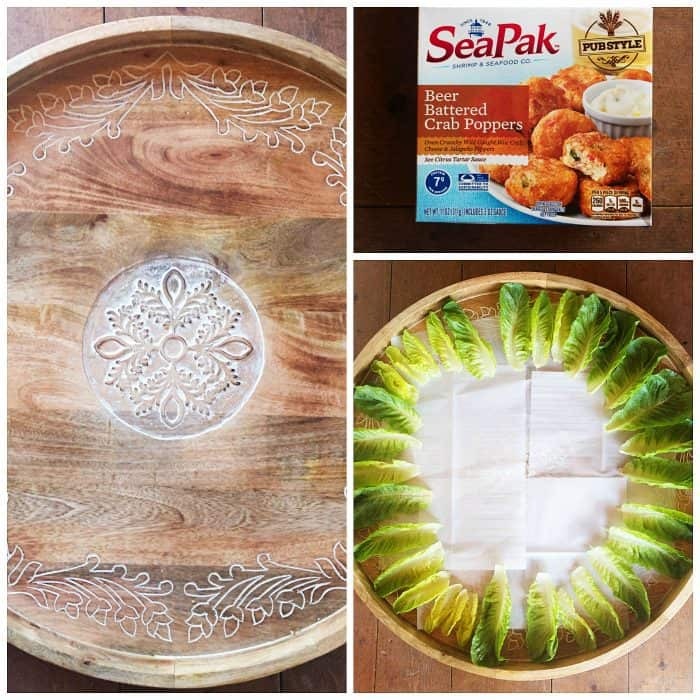 This post is sponsored by SeaPak, and we buy their products and enjoy them in our home. As always, all opinions are my own. 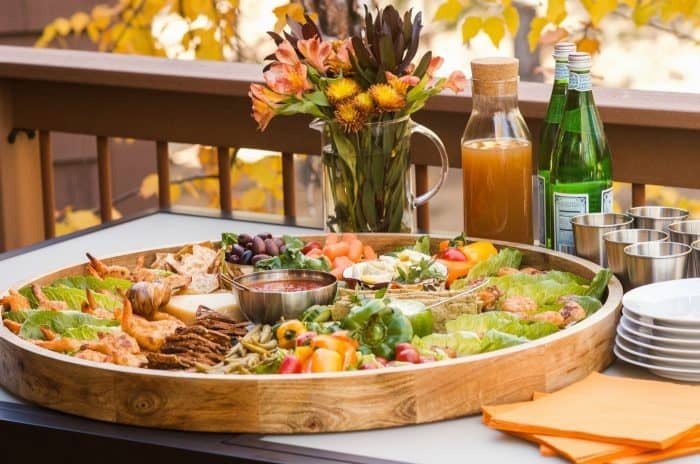 How can I find the wooden charcuterie board you are using in this post? Love the extra large size. Food looks terrific! This is perfect for Christmas Eve because we have only seafood! I love this for entertaining! 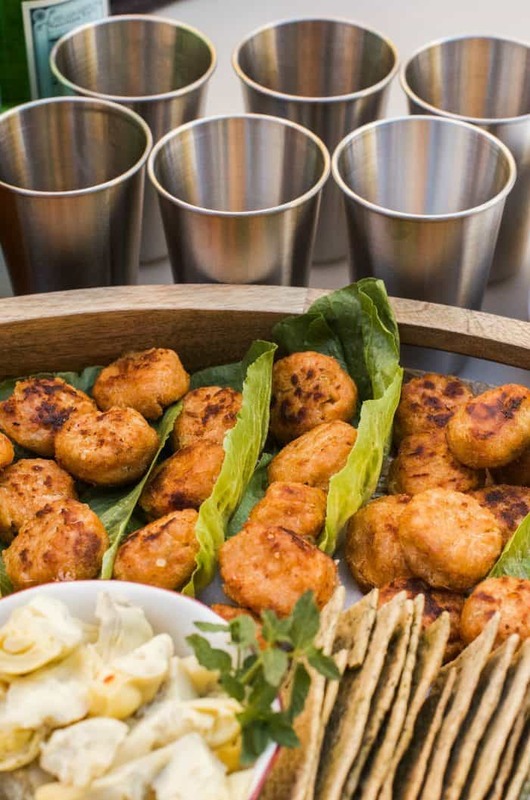 We can’t get enough seafood at our house, ad this is looks so fun! What an epic charcuterie board — it’s an instant party! Brilliant use of SeaPak products! Sandy! I love this Seafood Charcuterie. Your trays are always stunning. I could definitely make a meal out of this one! What a great idea. Love that board/tray. And boy do I love seafood! 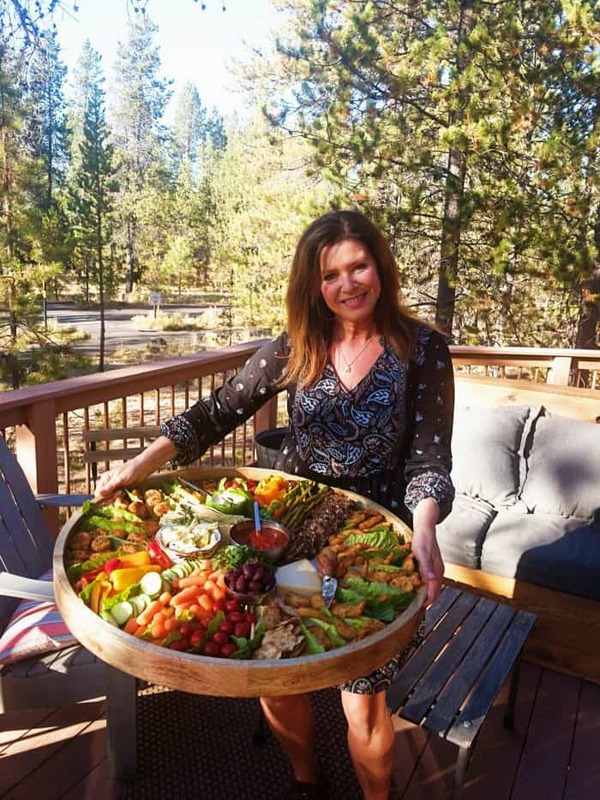 Sandy this is a gorgeous spread and such a great way to use the SeaPak products! I love all your photos! WOW! Awesome board and a great idea. Never thought of using SeaPak items on a charcuterie tray. Thank you for this fun idea! !